Yes, black always works but don't sleep on navy. This new color way of Balenciaga's popular Arena silhouette are testament. 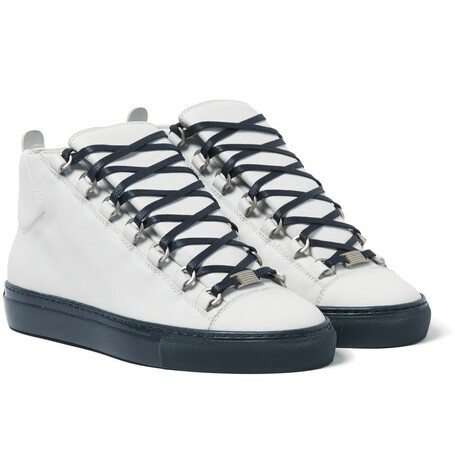 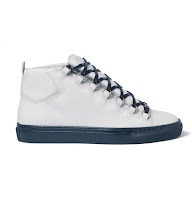 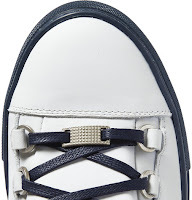 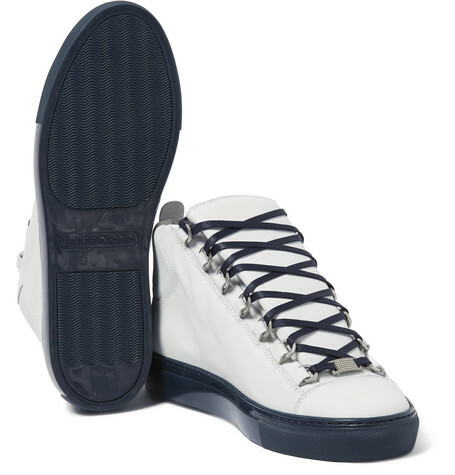 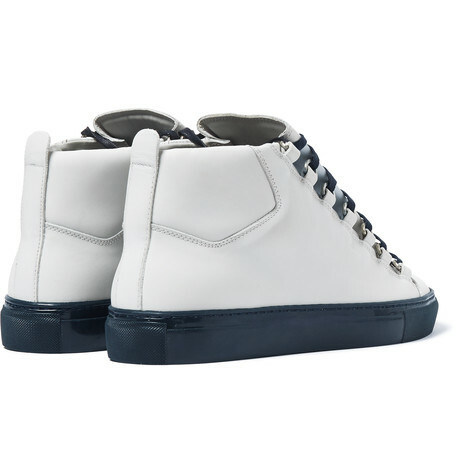 The upper is pristine white leather with navy laces and polished silver hardware. The sole finishes up the cool silhouette executed in a crisp navy blue that'll go great with denim or joggers on the bottom and a sweet navy pea coat on top. Available now at Mr. Porter.com.